If you’re looking for ideas and inspiration for your photography, read the flickr blog. Back in June, I read a post titled Past Present(ing), and I immediately started my research. 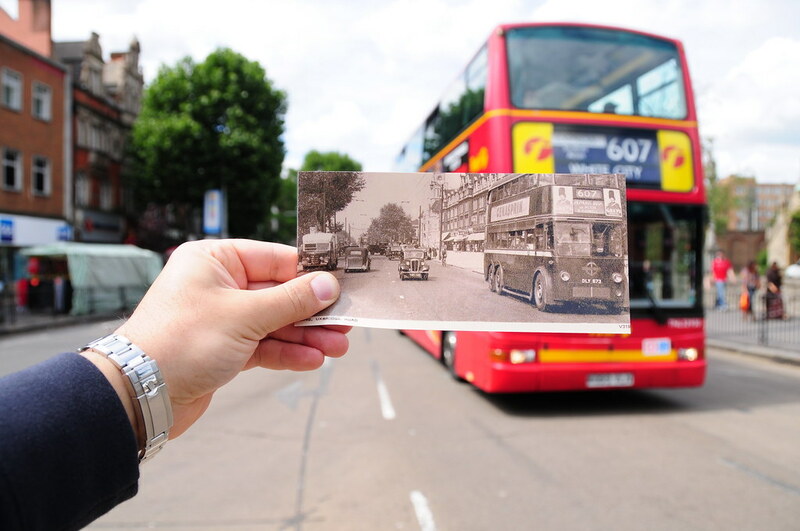 I looked for old photographs of Ealing, where we live(d) in London, printed them in Kuwait ready for this post. Today, I took some time alone and went on a shoot walk.